My girls love the Netflix show “Spirit Riding Free”. 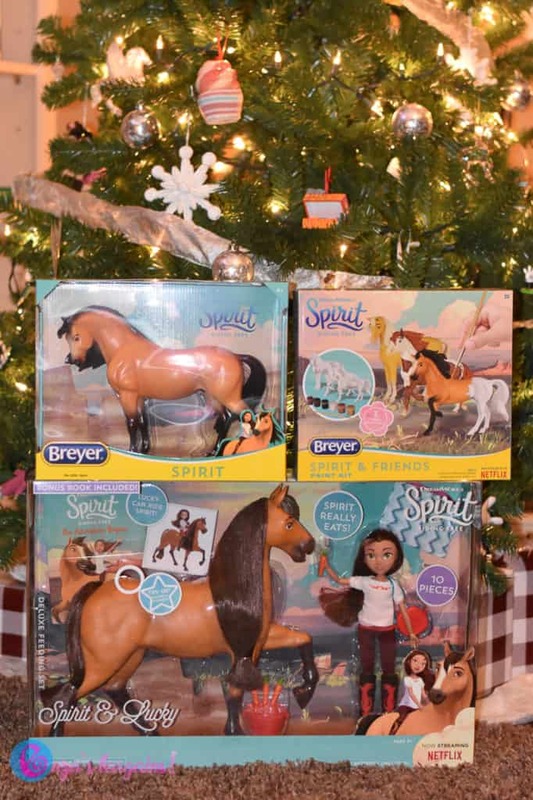 When we were shopping one day, my daughters’ eyes lit up with all of the Spirit Riding Free toys that were at the store. This post might also contain affiliate links which may earn us a small percentage to help cover our expenses if you choose to make a purchase. This post is sponsored by our friends at DreamWorks. All opinions are our own. If you have kids that like horses, especially little girls, they are going to be able to relate to the TV show and are going to love these toys! The main characters are girls with their pet horses. They toys are fun even if your kid hasn’t watched the show (and I think they should). 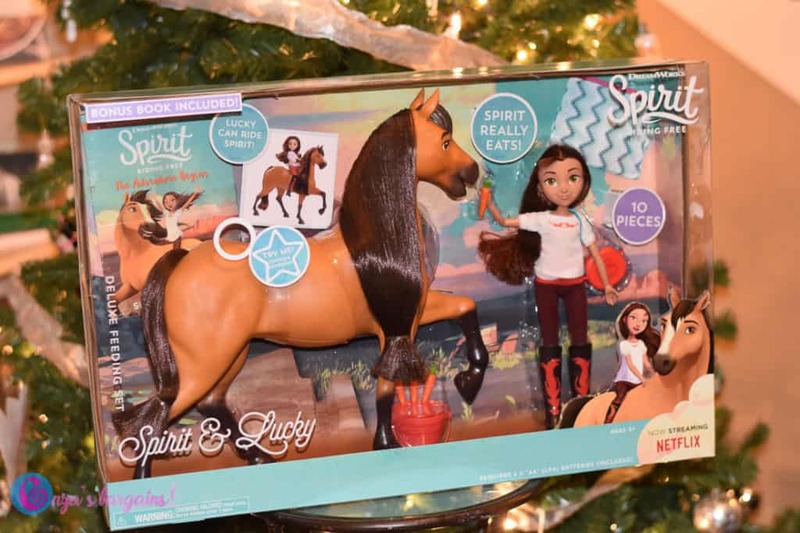 The DreamWorks Spirit Riding Free Spirit & Lucky Deluxe Feeding Set is going to be huge hit with your kids! The horse, Spirit, eats carrots, makes cute horse sounds and is great for imaginative play. 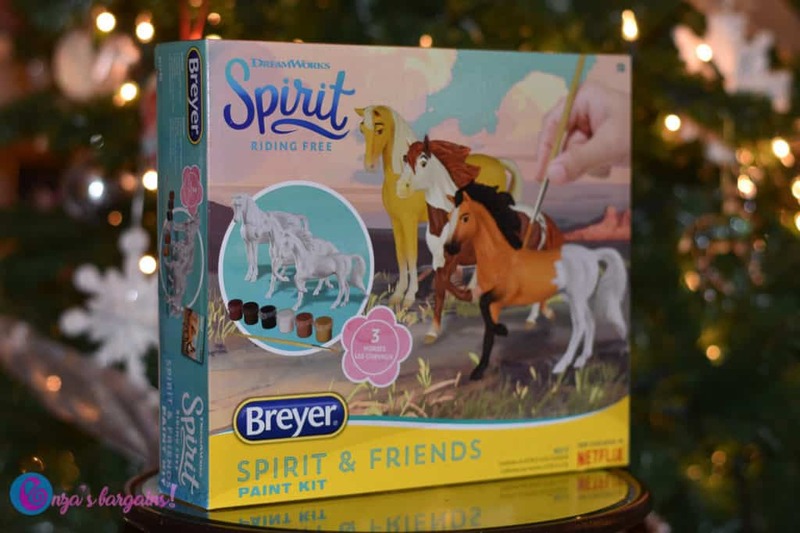 The DreamWorks set also has several other Spirit Riding Free toys including the Spirit and Friends Paint Kit that comes with 3 of the show’s horses to paint. Perfect for our siblings to share! This fun craft inspires creativity. I found it on sale for $16.32 on Amazon, this price will fluctuate. 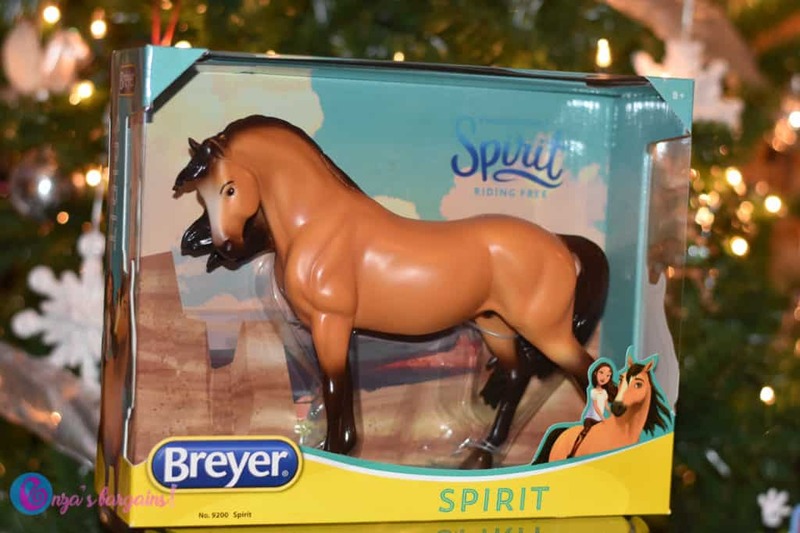 DreamWorks also has a Spirit created by Breyer which means quality. This horse is sturdy and should last a really long time. My kids love combining their toys and making their own scenes or acting out scenes from the show while playing! This horse retails for about $50 and I found it hard to find, but did find it on Amazon! So let the hunt begin if you like this guy! This Spirit Riding Toy will definitely be a HIT to my niece. She loves horses. I’m so sure she’ll play with it. This will be such a hit with my daughter. She’s taking riding lessons in the Spring – this will be a perfect gift!